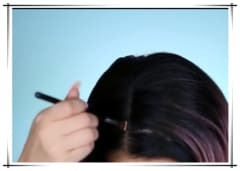 Today, Afsister is going to show you how to make your wig look more natural. 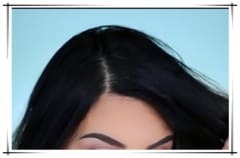 First, we will choose an ombre wig with dark root. It’s easier to hide your own hair in an rooted ombre hair. First, you can side your hair like the wig. For example, the wig today is a side-part one, so you can put it this way. 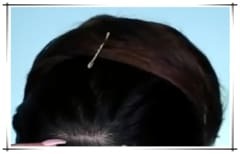 Then you can leave some hair out around the perimeter of your head. Then you put your wig cap on. 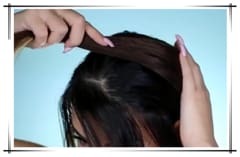 In wigs there are clips and combs, and you slide the clips in your hair to secure your wearing. 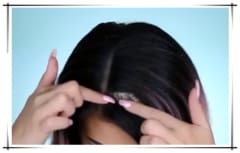 And you should use the elastic band properly to make your wig natural. After you put the clip s and combs in the places. Then you can use powder or concealer to make the color of the part-line of the wig looks close to your skin tone. 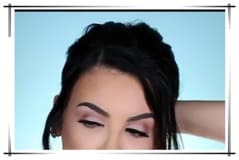 You can also put powder or concealer on your own scalp to blend them well. And you can press it with your figure to make it natural. You can see the white part where the wig starts, so you can just put some dark or brown powder and fill the part in with the powder. Then you will not be able to see where the wig starts. Finally, here comes a natural wearing of the wig. Afsister is aimed to fresh the hairstyles of American girls. We always stand behind our products.